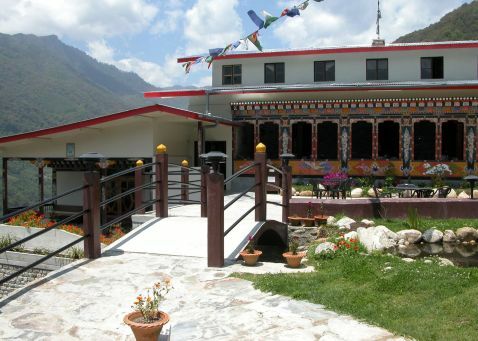 Yangkhil Resort is one of the most graceful establishments in the historic town of Trongsa, offering 21 rooms of modern design combined with traditional Bhutanese architecture. 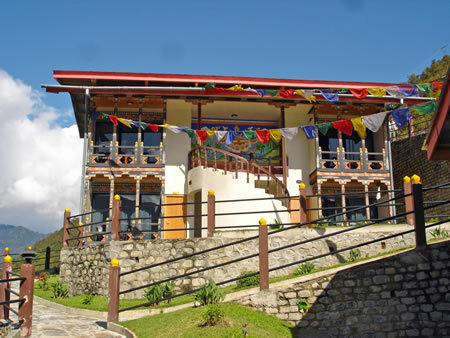 Lush colorful gardens, fish pond and view of mountains soaring over 10,000 feet add to the resort's natural striking landscape. 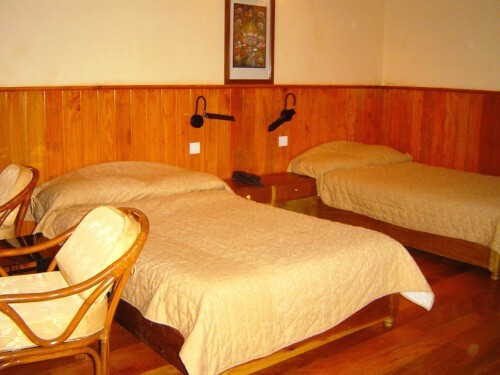 A relaxed country-club atmosphere within the establishment create an ideal destination for guest seeking seclusion or adventure filled recreation pursuits. 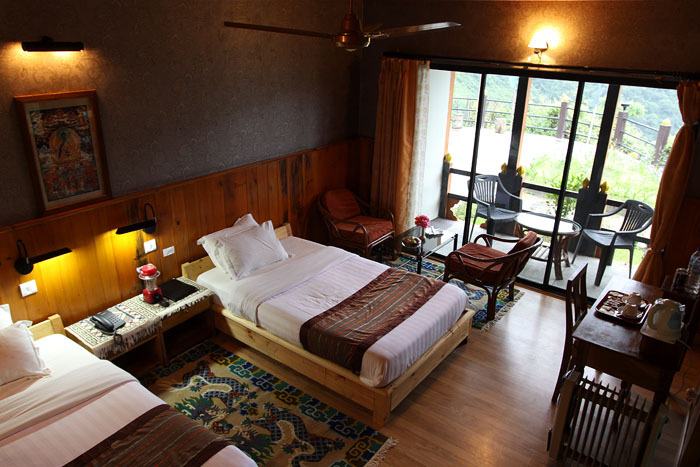 21 guest rooms well-equipped with radiator heating system, spacious sitting area, telephone, wardrobe and dressing table, light and warm blankets, thick and soft mattress, Large private verandahs offer amazing view of Trongsa Dzong, Ta Dzong (watch tower) and surroundings. 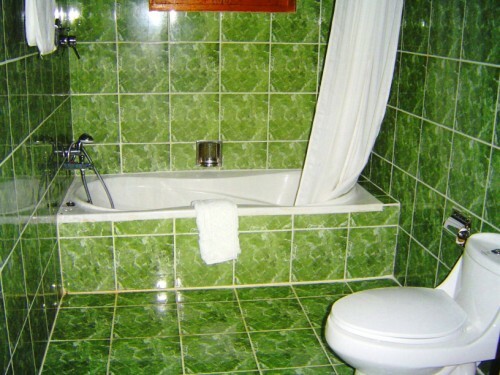 The bathrooms are fully equipped with modern amenities such as sockets that are convertible from 220 to 110, 24 hours hot running water and spacious bath tub. 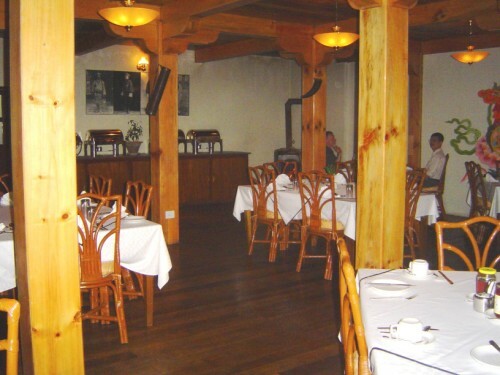 The restaurant caters for locals and tourists alike and will offer a mix of dishes to suit the Western palate. 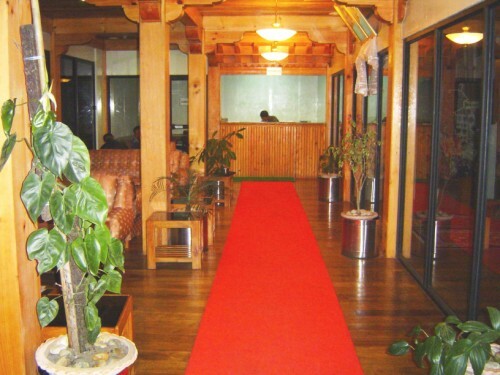 The hotel also has an outside courtyard area for relaxing or for taking tea. 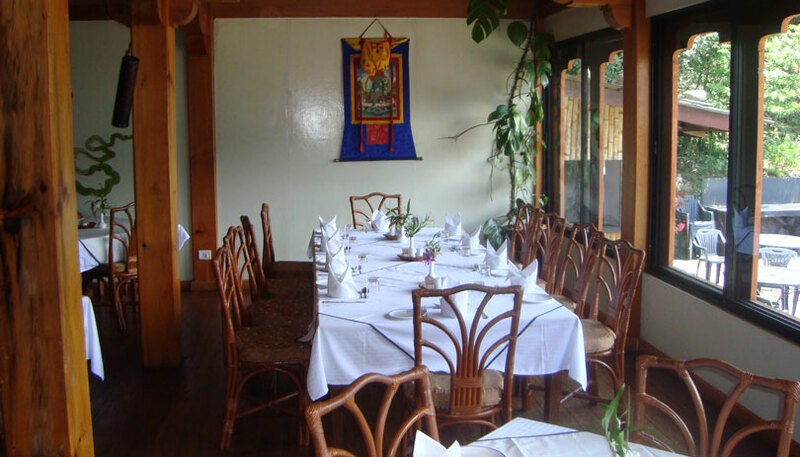 Indoor Dining room, built with traditional architecture offers deliciously prepared Chinese, Bhutanese, Continental and Indian cuisine. 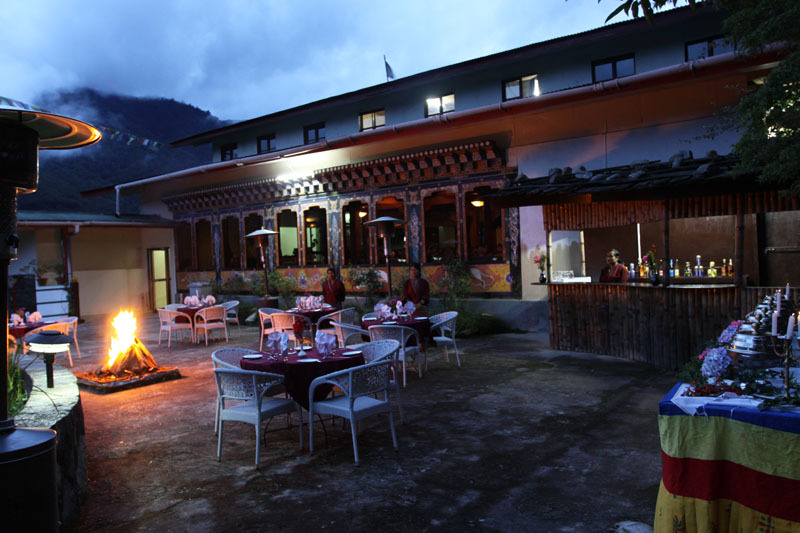 Outdoor dining space provides a casual open air setting while enjoying a wonderful view of Trongsa Dzong, Ta Dzong and surroundings. 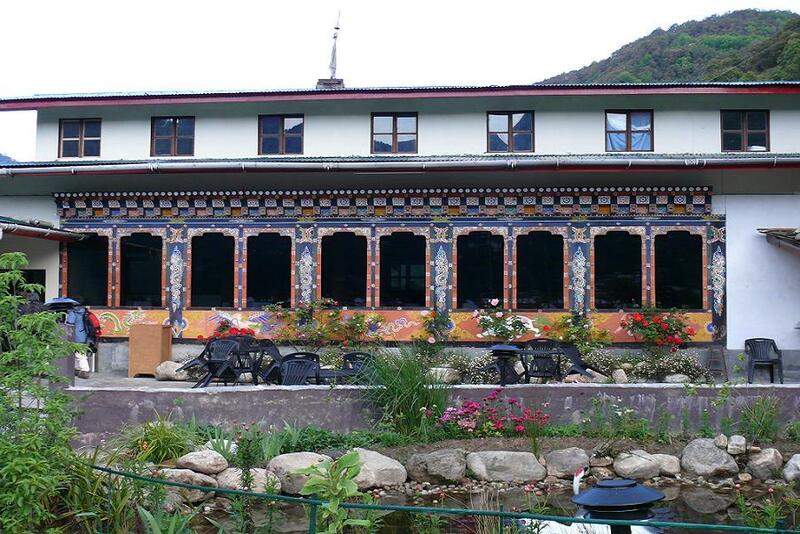 The outdoor dining is flanked by resort's garden, fish pounds, waterfall, with relaxing sound of water and prayer wheel bell. 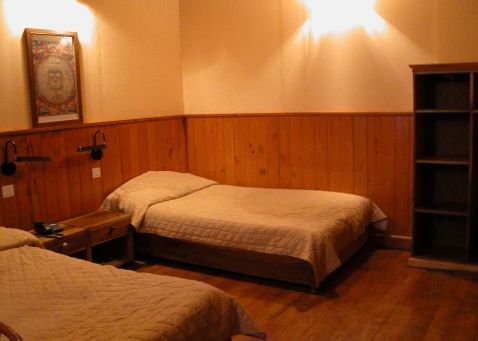 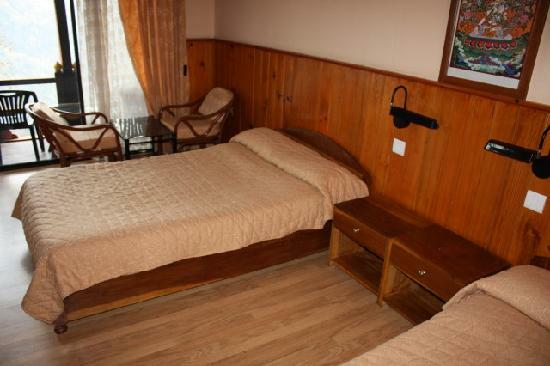 Business centre, Wi-Fi internet access, Restaurant, Bar, Express laundry service, Daily maid service, Foreign currency exchange, Laundry service, Conference room with capacity of 40 persons, Utility Shop, Salon and Laundry service, Multi cuisine restaurant, Bar, Front desk, service 24 hours, Safe deposit boxes at reception. 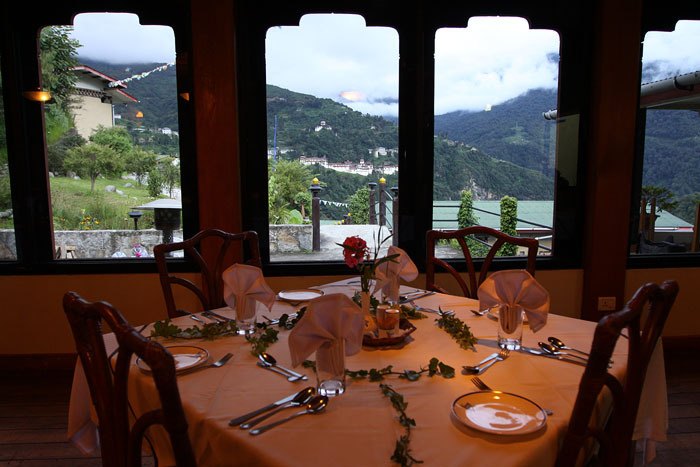 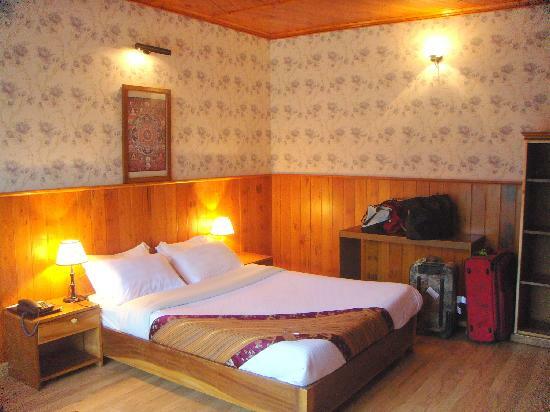 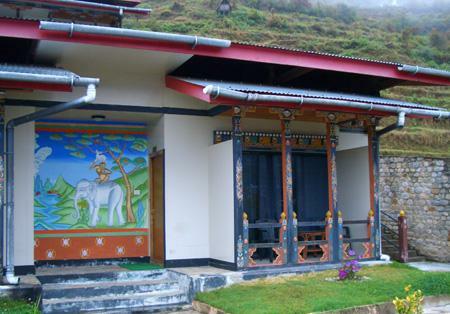 The Yangkhil is a stylish resort located within walking distance from the historic town of Trongsa. 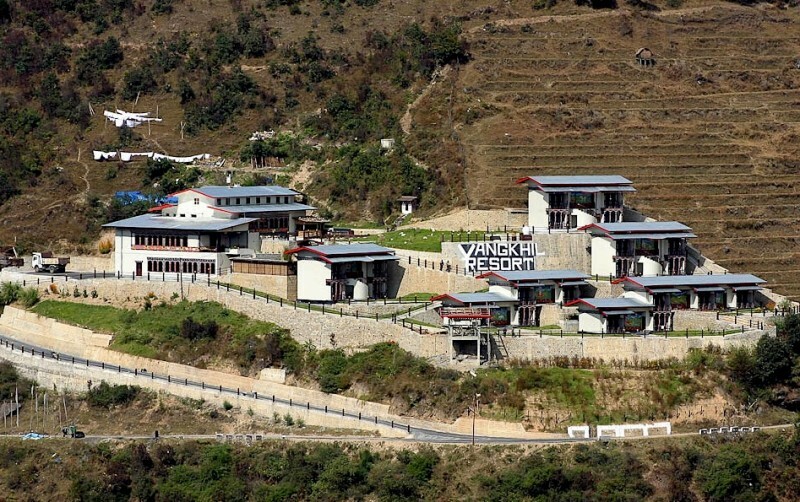 In operation since October 2004, the resort is surrounded by lush green and colorful gardens, a fish pond, and breathtaking panoramic views of Trongsa Dzong, Taa Dzong and the Mangde Chhu River.